22.Aug. 2007. 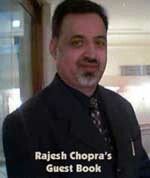 Liveindia.com. 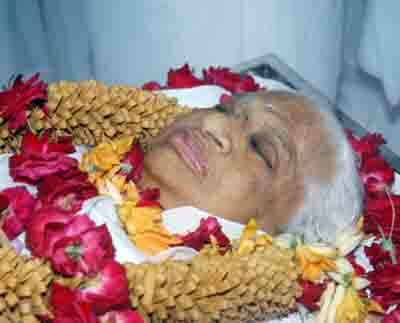 Last day Dadi Prakashmani fell unconscious because of sudden paralysis, she was immediately taken to ahemdabad hospital. She was detected of brain ham rage. It seems Doctors have lost hope; she has now been brought back to mount abu. Her condition is still very critical and she is still in coma. At the age of 14, Dadi Prakashmani (‘Dadi’ means respected elder sister) dedicated her life to the spiritual service of humanity. When Brahma Baba formed the Trust at the establishment of the organisation in 1937, she was chosen as one of the original eight trustees. By merit of her talent, vision and qualities of leadership she accepted the challenge to initiate service centres in Bombay in 1952, where she later became the Chief BK Coordinator of the Maharashtra Zone. In 1969, Dadi Prakashmani was appointed Chief Administrative Head of the Brahma Kumaris when the organisation was still a national entity. With generosity of spirit and unlimited vision as her prime motivators she has been able to guide the organisation in its tremendous global growth. For her, administering so many centres in so many countries is like being a guardian to a global family. When asked “how do you manage?” she replies with a smile which fuses lightness with authority: “Like a family, the basis of this organisation is love, and it flourishes because it is nourished with trust and respect”.